Prime Minister Trudeau (R) and McCallum in better times. Toronto – Prime Minister Justin Trudeau has fired Canada’s ambassador to China over reckless comments made in the arrest of tech giant Huawei CFO in Vancouver in December. 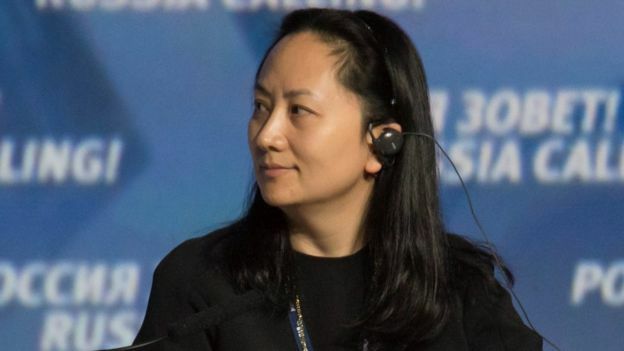 Ms. Meng Wanzhou, the daughter of the founder of the company was arrested on a US government arrest warrant on suspicion of violating US sanctions against Iran. 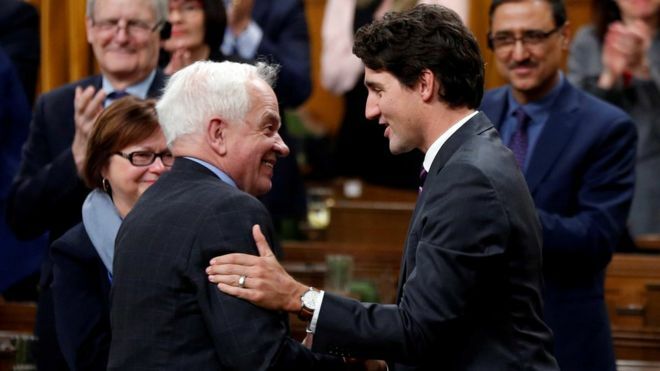 Mr. John McCallum, a former Liberal MP from Markham, Ontario was asked to resign for comments considered too political and damaging to the international reputation of the country. The ambassador had told a Chinese language journalist that Ms. Meng has a strong case for fighting extradition to the United States and reeled of ways she could defend herself. Mr. McCallum later walked back the statement claiming he misspoke, but soon authored another damaging statement that may have sealed his fate as Canada’s top diplomat in China. He stated that the US could leverage Meng’s arrest in its trade talks with China and in the process ensure the release of two Canadians held by Beijing in what is seen as apparent retaliation for Meng’s arrest. Trudeau’s initial hesitation to fire McCallum drew condemnation from conservative party leader Andrew Sheer, who insisted that the top diplomat should have been fired much earlier for his reckless political comments. Sheer accused Trudeau of weakness and showing poor leadership for initially jumping to the defense of McCallum before firing him. The US government is preparing paperwork to effect Meng’s extradition in light of the looming deadline of January 30th.